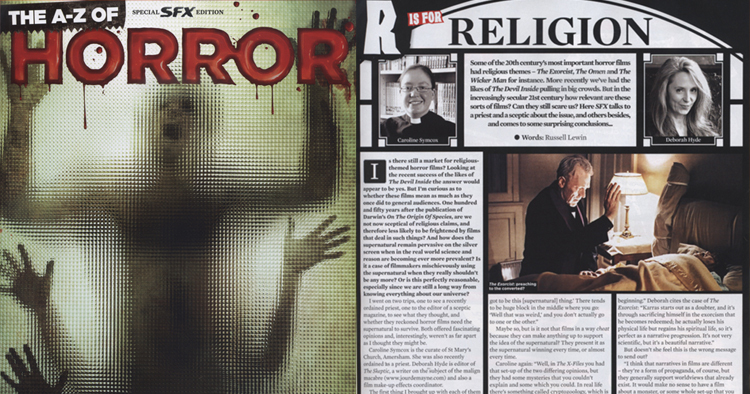 I’m on pages 86 to 91 of this lovely SFX Special Edition on the A to Z of Horror. Vicar Carolyn Simcox and I discuss religion in films, and we don’t disagree as might as you might think. I got to discuss ‘The Exorcist’ and ‘The Wicker Man’, and included ‘Scobby Doo’ for good skeptical measure. This one was a lot fo fun for me, as I got to talk about both my love of horror and my love of the rational approach.